Re: Hi! 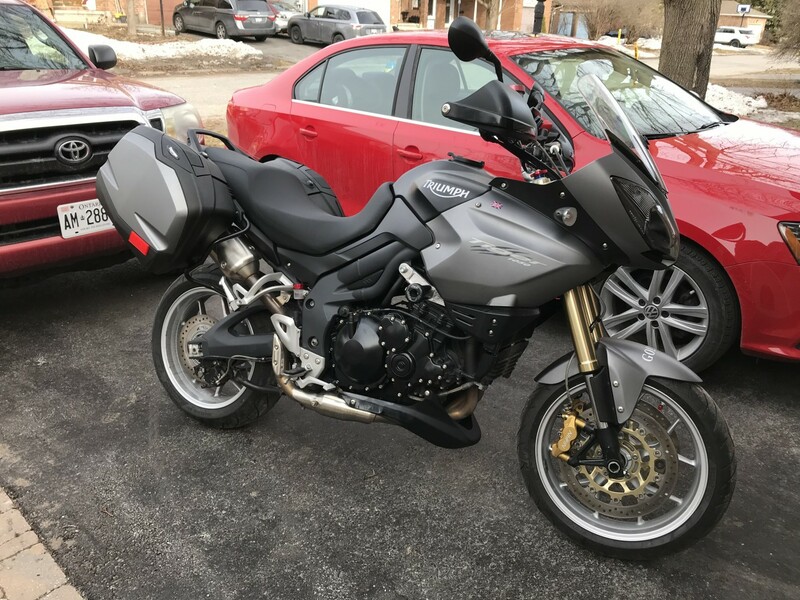 Just bought my first Triumph! The bike looks great - enjoy the ride and the forum! Welcome Jayzed, hope you enjoy your steed and welcome to all the other newbies to the site whom have arrived since my last visit. Is there anyone in the Ottawa area who might be able to meet up? I’d like to have someone look at my panniers and maybe help adjust them. The seem quite loose. Super good condition. It’s interesting to see how different the pannier mounts have changed over time. The third mount is now fixed at the pillion footrest. They are designed so the bottom flaps about a bit with wind turbulence. But you should take care that you hook the bottom pin into the hole before you sit it down on the top mounts (if you see what I mean). Some people have failed (not read the manual) to do this, and the pannier is then not fixed in place properly and so unsafe. That’s right Paullie. It all seems a little odd when installing it however once completed it all makes sense. 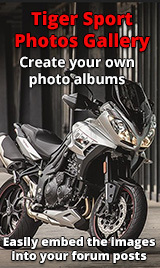 Triumph have done really good engineering on this I reckon. Pity ya can't fit owt in um eh.